Steaks, bacon, hatchets, guns, paintball....do we need to say more? Man camp will be one of your favorite weekends of the year and a weekend in which you grow closer to God! It is a perfect opportunity for a men's ministry in any church. Don't miss out on this great event. 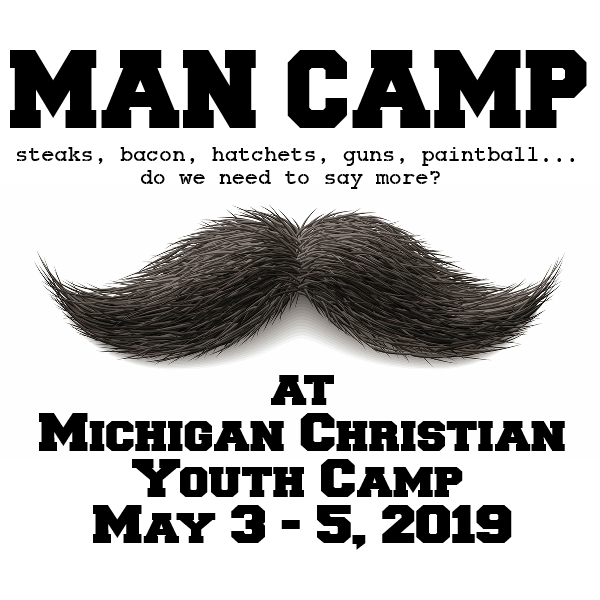 Get a group of friends or some men from your church and head on out to Man Camp this year! Sam H. Pace served Churches of Christ in Michigan for 20 years before moving out to Westminster, Colorado to serve the Northwest Church Of Christ seven years ago. Sam continues to serve there as preaching minister. He is married to Jan and they have three adult children. Sam loves the outdoors. Hunting, fishing, camping, and hiking are just a few of his favorite activities. When he’s not playing outdoors he’s typically reading or playing guitar. Sam loves the Lord, loves his family, and loves teaching and serving people.